This is a message from Nandeibam Ingocha, 55 s/o Late N. Nodiya, a successful agro based entrepreneur of the state. 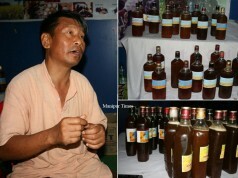 Nandeibam Ingocha hails from Kongba Makha Nandeibam Leikai, Imphal East. He is the second son among five siblings. The farm located at Uchekon Jubaraj Loukol is producing huge numbers of watermelons. 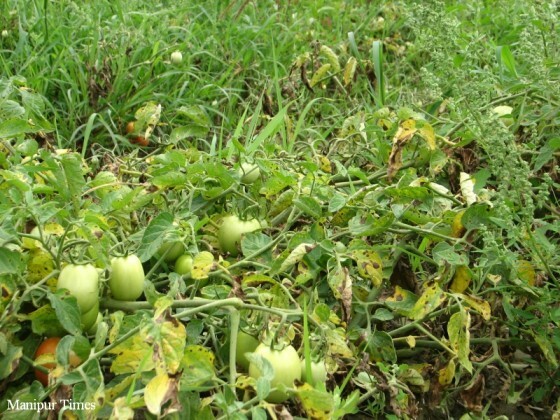 Besides this product, his farm produces tomato, potatoes, and many other vegetable varieties. 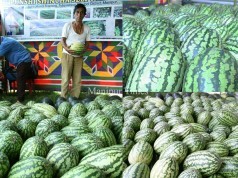 His farm can produce about 36,000 kg of watermelon a year. The product is sold at wholesale rate of Rs. 20 a kg. 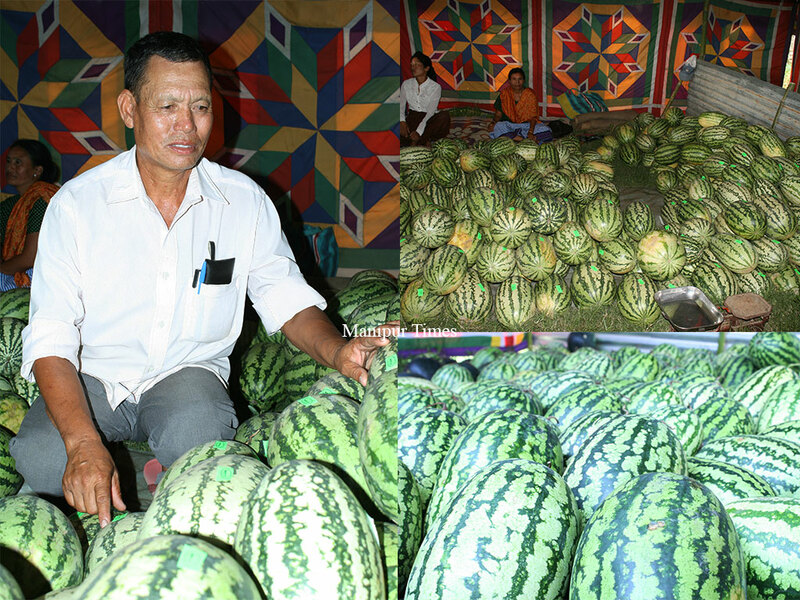 Ingocha can earn up to Rs 7 lakh from his watermelon farm per season. 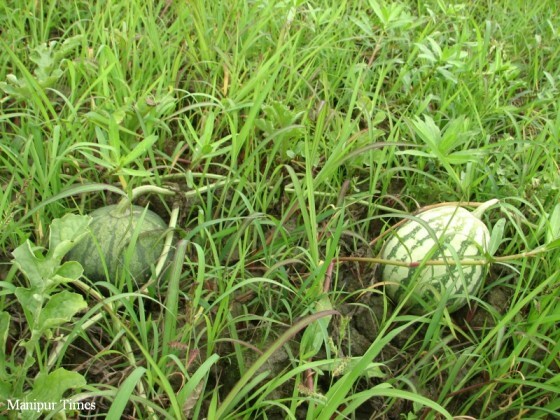 This year, almost all the watermelon plants grown in his farm were destroyed by a heavy rain. 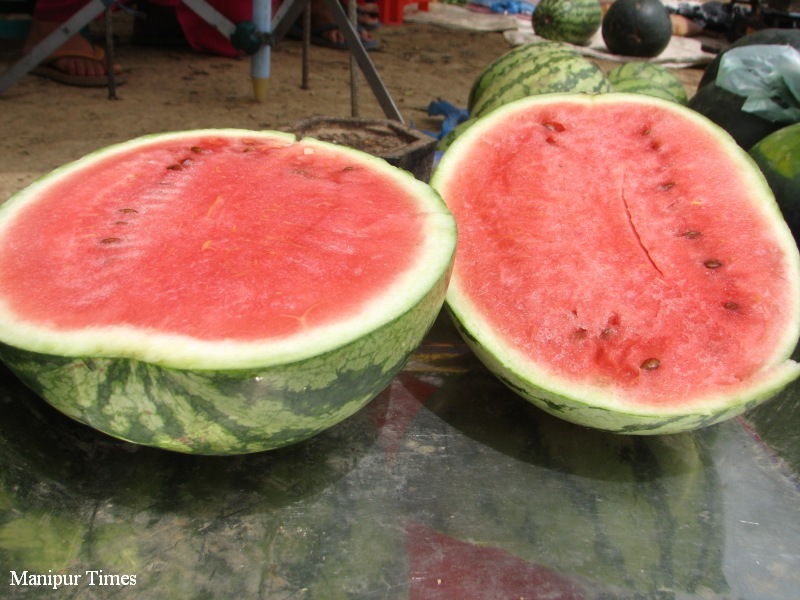 Watermelon plants are suitable in dry but humid condition. 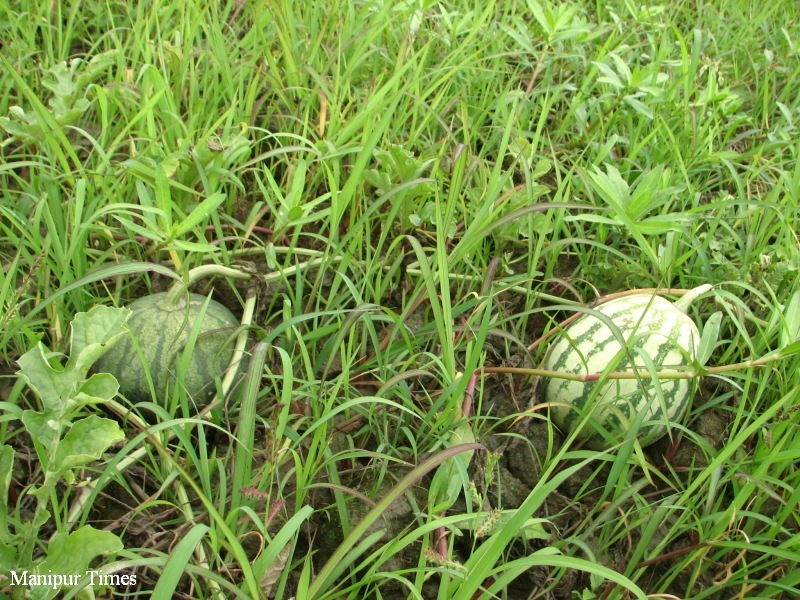 But this year, due to excessive water absorption by the plants and the farm being water logged for long, watermelon fruits became rotten. 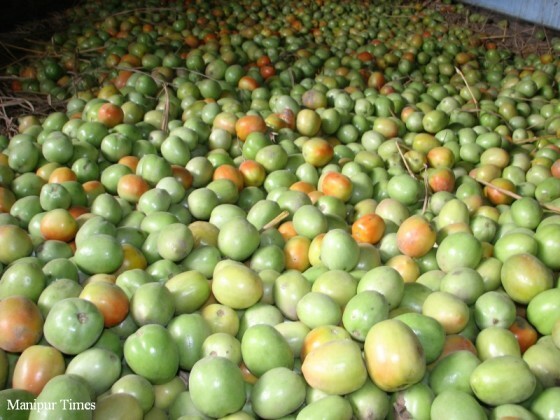 As about 70 percent of the fruits were destroyed, he would not be able to produce 10,000 to 15,000 kg this year, said Ingocha. While most of the farmers in the state leave their fields unused after harvesting of paddy, he doesn’t leave his field in such a way. Instead, he takes up three times cropping a year. 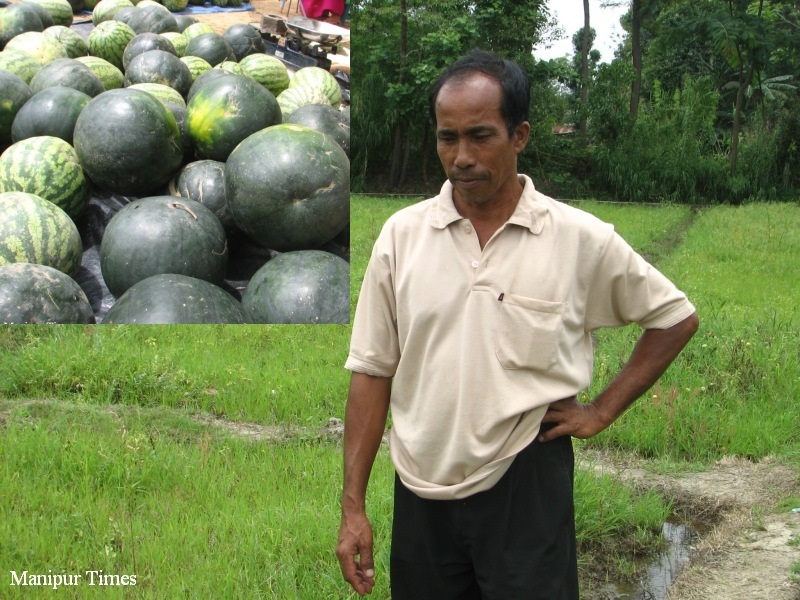 When the paddy harvesting is over in October and November, he grows potatoes, cabbages. After that, he starts growing watermelon and tomato plants in the first week of February. During the period of May and June, his farm yields huge numbers of watermelons and tomatoes. In this way, his field always remains green all throughout the year. To make up the loss, he directly sold the watermelons at retail price at Uchekon Larenpat along Imphal Yairipok road with the help of his wife and children. 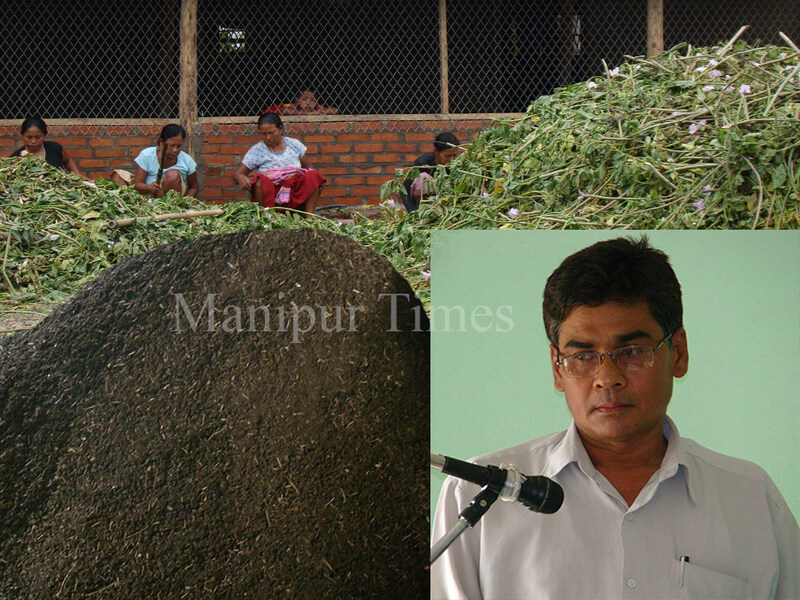 Before getting into agro business, Ingocha worked as a PDS Rationing Agent from 1980 to 1998. 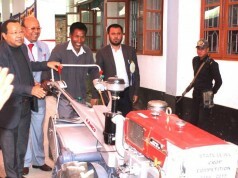 While stating explicitly on why he wanted to be an entrepreneur, he said, “The state has vast cultivable lands. However, we depend on other states for our daily essential commodities like rice, potato, onion and other items. When we build up work culture and the vast dried up fields are made green, the state can itself afford its needs with its own products. The state needs to be free from dependency on others for food. 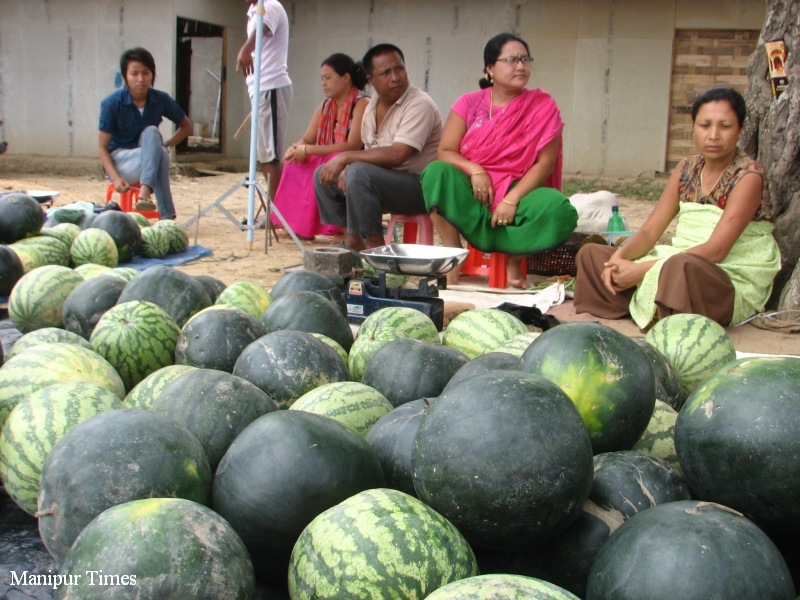 When the national highways got blocked for 52 days by a Naga based organisations, people of the state faced shortage of essential commodities. The food items were brought in by air cargo. 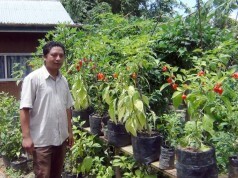 All these things inspired me to be an agro entrepreneur, he added. 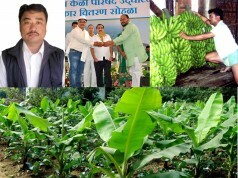 In the journey of his agro entrepreneurship, he first started growing potato in his field after harvesting paddy. 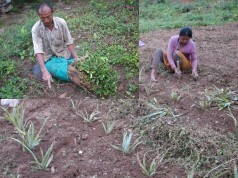 The potato cultivation gave him good yield and income. 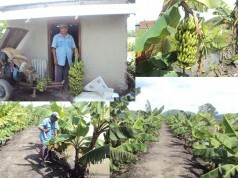 With a view to bring green revolution, Chongabi Farmers Club was formed comprising about 40 farmers. 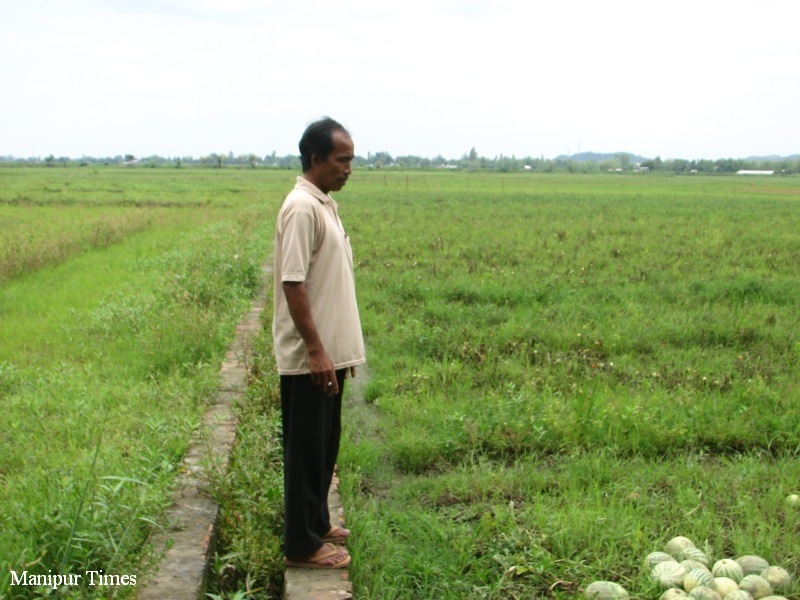 Now all the farmers stopped growing vegetables except paddy. 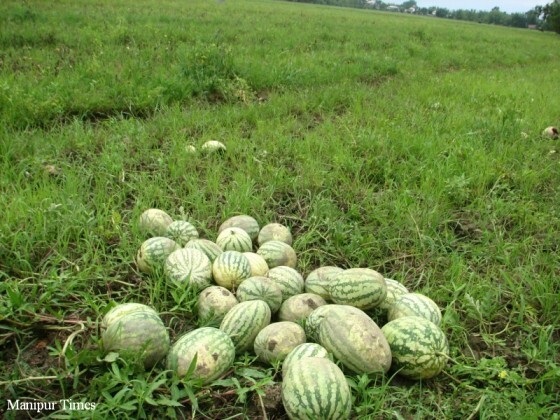 The farmers were discouraged by destruction of crops during flood or natural calamities. Despite all odds and trouble, Ingocha did not lose heart and moved forward to achieve his goal. 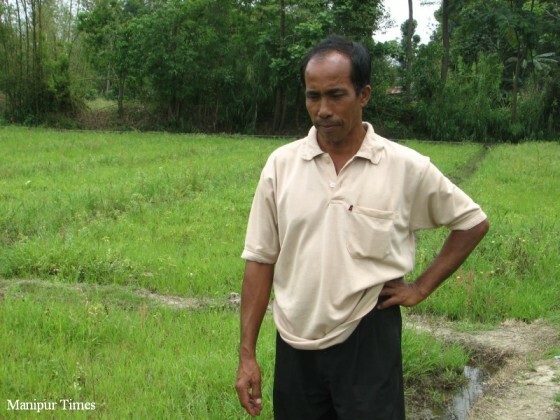 Kongba River is the main water source for his farm located at Jubaraj Loukol. 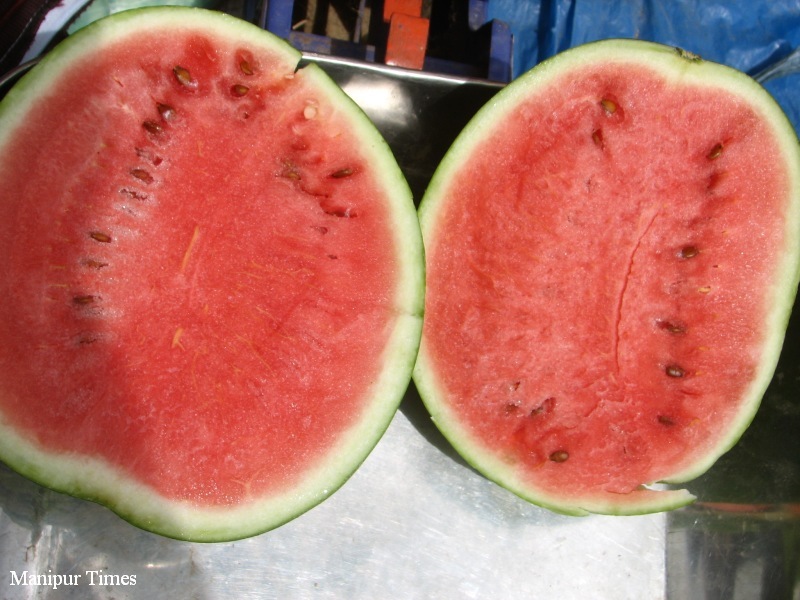 HP Singh, chairman of National Horticulture Board visited his watermelon farm in 1995. 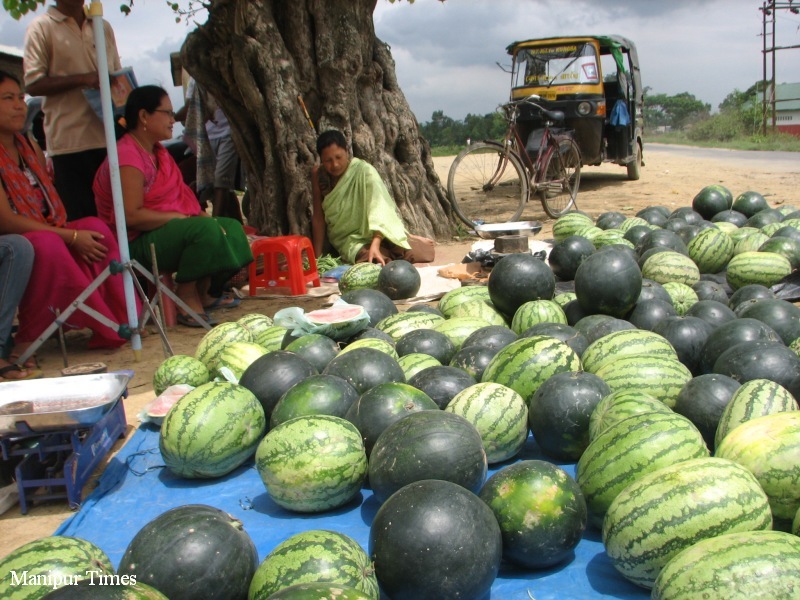 Some years back, watermelons imported from West Bengal were available in the state aplenty. Now, watermelons produced by the state farmers can meet the requirement of the state and thus watermelon from West Bengal is no more brought in. However, some watermelons imported from Myanmar are still available in the state. 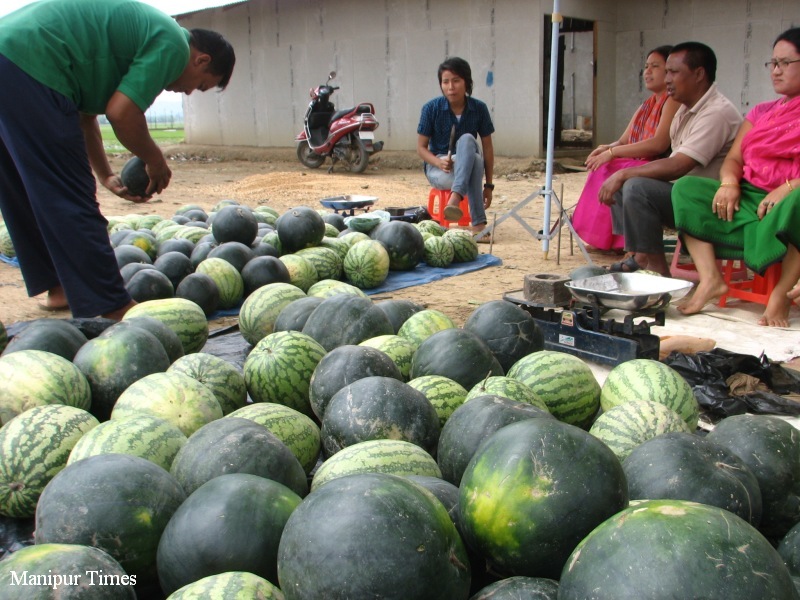 Availability of Myanmar watermelons in the state is mainly during the period of February and March when Manipur farmers do not start production. 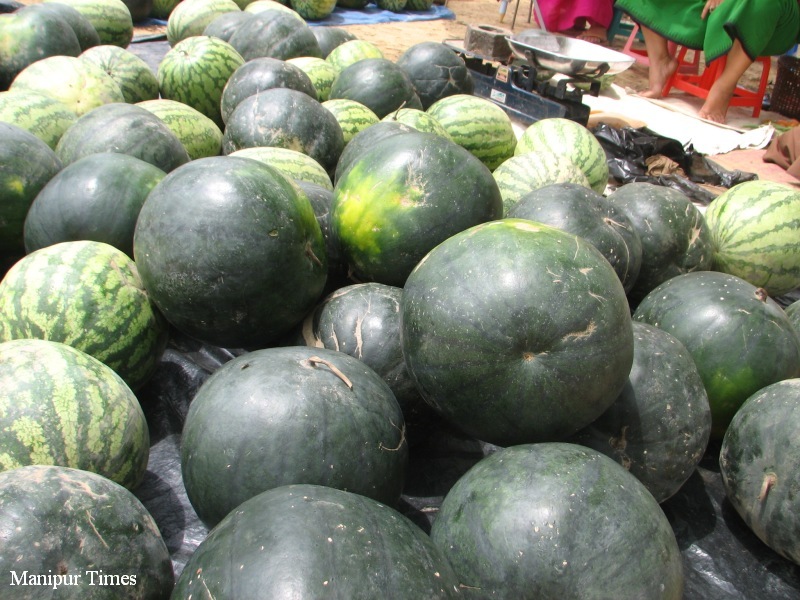 May and June is the season during which state farmers produce huge quantities of watermelon, he said. Manipuris are so insensitive or too much absorbed to leisure feasts and non-traditional festivals… Eikhoi wakhini asumna maru oiba taduna leiraba thabakse paikhattrabadi..